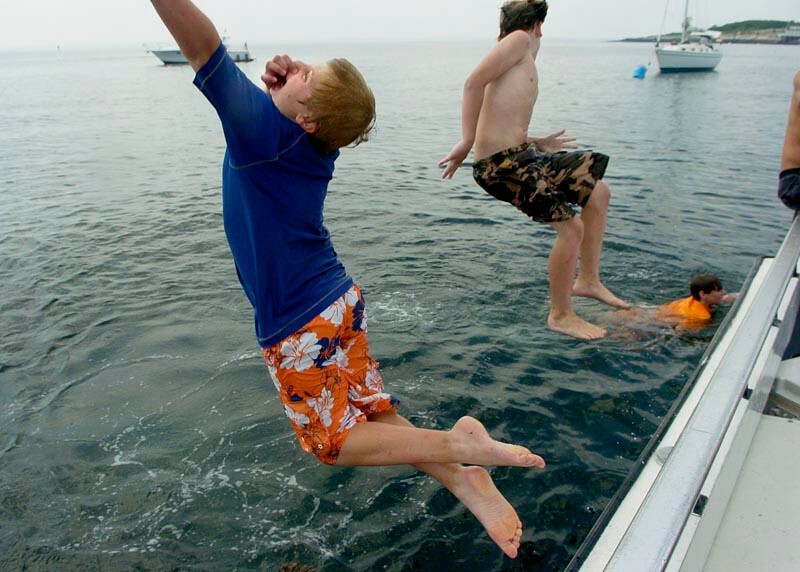 Patrick Collura , left, jumps off the side as the Erica Lee was moored near the isle of Shoals Monday July 6, 2010. Boat Camp is a nonprofit education program which takes kids out on the Merrimack River and the ocean to learn about the maritime environment. The group educates kids about New England fisheries, environmental sustainability, the local ecosystem and the animals who call it home, emphasizing hands-on experiential learning.